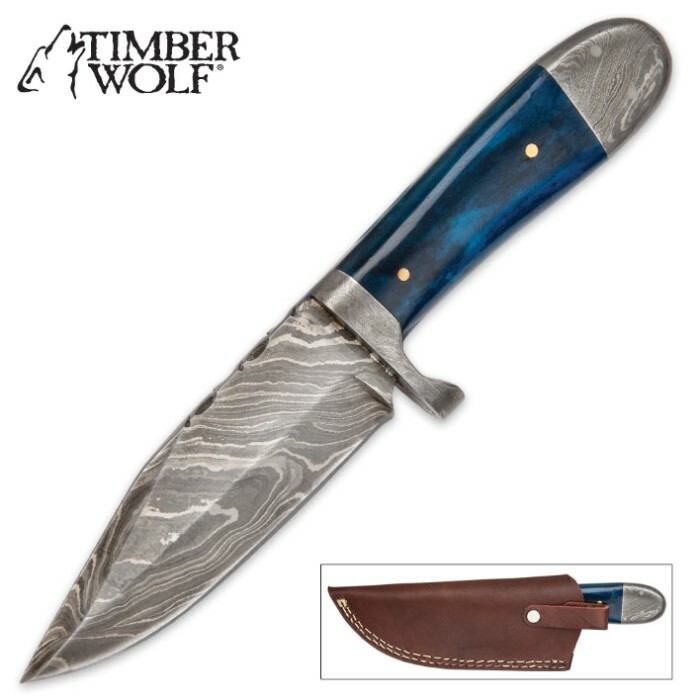 Timber Wolf Blue Bone Hunter Knife | BUDK.com - Knives & Swords At The Lowest Prices! Before you go out on the hunt, make sure you take this Blue Bone Hunter Knife from Timber Wolf with you. Having a solidly built fixed blade that you can depend on is key when you’re out there because you never know what may happen. 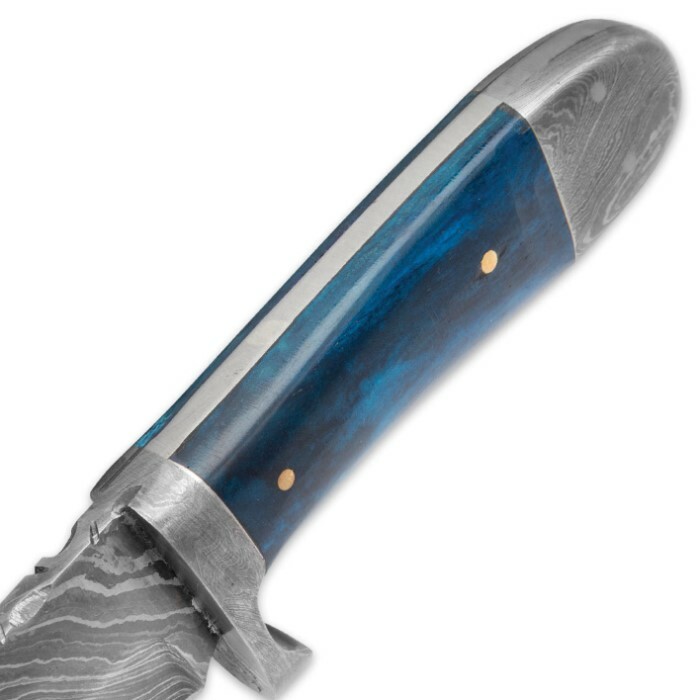 The 4 1/4” stainless steel blade has a Damascus finish and the steel handle features genuine blue bone scales. 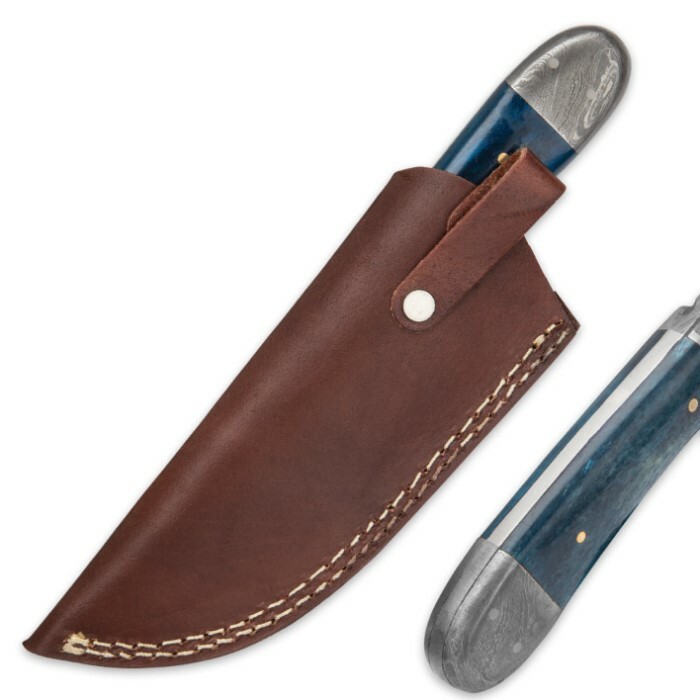 A genuine premium leather belt sheath houses the exceptional fixed blade knife. This is a remarkable and beautiful blade.